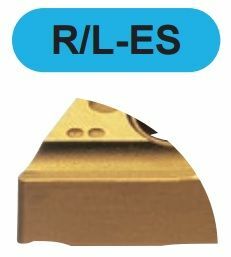 Alternative chipbreaker for medium cutting of stainless steel. Double sided chipbreaker. Good balance of edge strength and sharpness. Right- or left-hand breaker for unidirectional chip control.